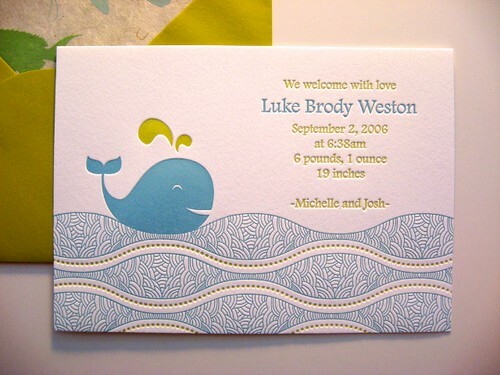 I know we’ve been showing you alot of business cards these days so to change things up here are some awesome baby announcements that were designed and printed here at Dolce. 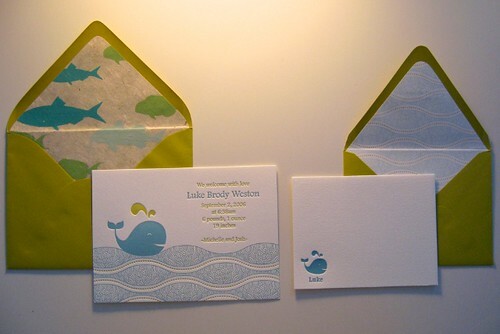 Two colors (Blue and Chartreuse) on 110lb cotton paper with a matching envelope and liner (which looks great). 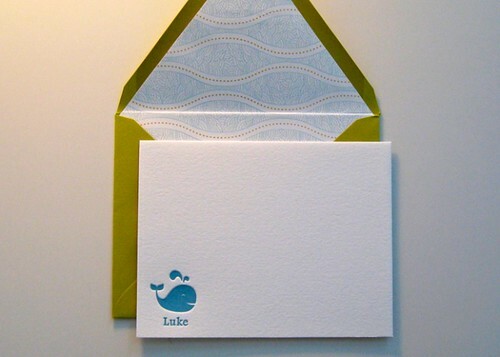 To top it off we designed custom notecards on the same 110lb cotton paper with matching envelope and liner. Let us know what you think! On a side note, stay posted because we’ve got something awesome coming your way.